Presented for the very first time in the UK, Comme des Marxists, a radical commentary on modern life, exhibits as part of the 10 year anniversary of Centre for Sustainable Fashion at London College of Fashion. The exhibition features work by Austrian born and New York-based artist Rainer Ganahl, as part of his ongoing investigations into the relationships between daily life, culture, economic systems and political structures. 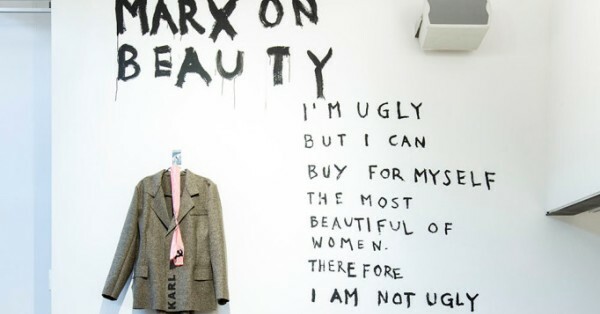 It is curated by Centre for Sustainable Fashion’s Camilla Palestra and examines how fashion and art can be a political force for change, as well as showcasing Ganahl’s contemporary analysis of how capitalism works, injecting humor and drawing connections between class struggle, politics, design, and consumerism. 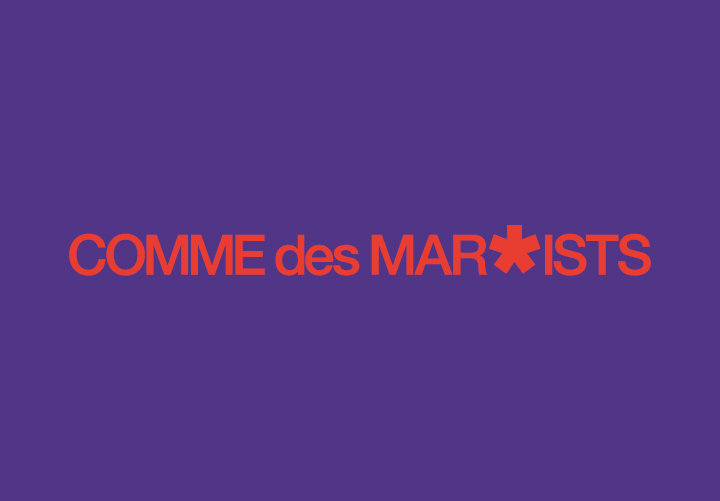 Creating connections between the industrial revolution, tragedies such as the Rana Plaza clothing factory collapse in Bangladesh in 2013, the production and consumption of luxury goods, and both fine art and fashion, Comme des Marxists challenges our understanding of the fashion system. Using a playful, humorous, yet thought provoking approach, the artist draws inspiration from sources as diverse as artists Kazimir Malevich, Richard Serra, and Joseph Beuys to designer Karl Lagerfeld; fashion houses Comme des Garcons and Hermes; to high street brands such as Benetton and Joe Fresh and even whistle blower Edward Snowden. 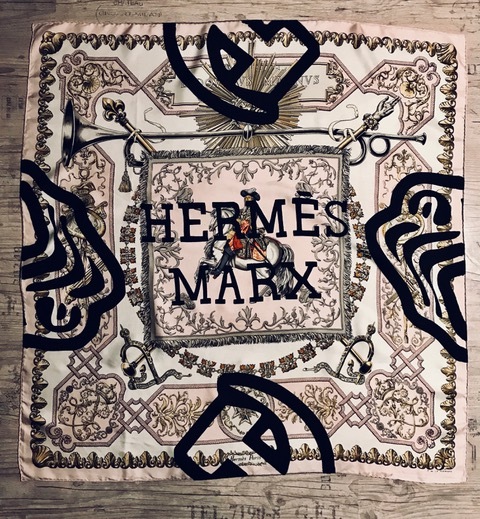 Comme des Marxists, which is a play on Japanese brand Comme des Garçons, was originally staged at New York’s White Columns in 2013 to largely favorable reviews. But in recent months some of the artist’s other fashion-themed works have courted controversy. In June his fashion performance in Prato, Italy, drew ire from the commissioning museum, the Luigi Pecci Center for Contemporary Art, for being a little too political. 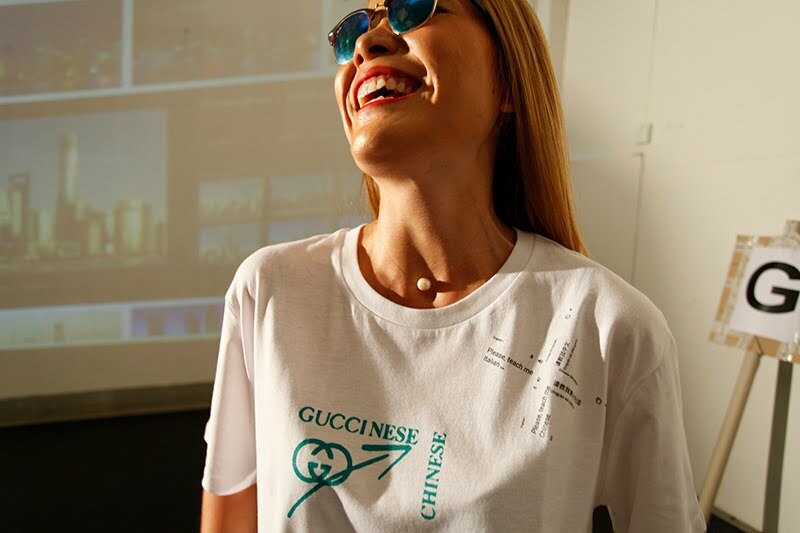 The performance, titled Please Teach Me Chinese, Please Teach Me Italian – Marx a Prato, Gucci a Prato, was conceived as part of a city-led initiative to build a bridge between the native Italian and immigrant Chinese populations living in its Chinatown neighborhood. During preparations for the show however, Ganahl started to receive push back from the local government, university, and museum, which jointly commissioned the project. The institutions specifically took issue with three video works that he wanted to appear in the background of the performance. The videos paired Gucci’s logo with violent scenes from movies, which the institutional heads feared might open them up to legal disputes. Ganahl defended his evolving vision for the project, telling artnet News ahead of the performance that the city seemed to be having trouble telling “the difference between an artist and a PR agency.” He eventually agreed to cover up the logos and the more violent elements in the videos, but the back and forth went down to the wire, causing the performance to begin two hours later than planned, at 11 p.m. In London, the Frieze Week runway show, along with a “Marx Punk” concert, will kick off a larger exhibition of Ganahl’s work at LCF's Fashion Space Gallery until January 12th.